Space on your public notice board? 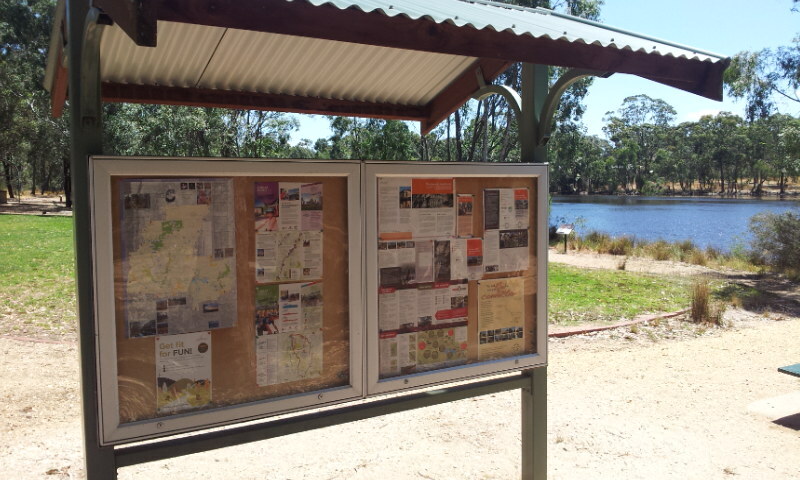 Do you know of a public notice board in your location, which has space for information related to the O’Keefe Rail Trail and the Friends of the Bendigo-Kilmore Rail Trail? Want to know more about trails in central Victoria? The Friends group is keen to inform the public, walkers, cyclists, those interested in natural environments or railway history, about the O’Keefe Rail Trail and the positive experiences that can be had while using this off-road trail. Suitable information is available to download directly from the Friends web page ‘Brochures, Maps, Apps, Files, Rides’ or from Bendigo Tourism’s web page O’Keefe Rail Trail. Also printed material may be made available by contacting Bendigo Tourism on 1800813153 or tourism@bendigo.vic.gov.au. Otherwise a request can be emailed to bendigokilmorerailtrail@gmail.com, yet an allowance for processing this last method of request will be required.